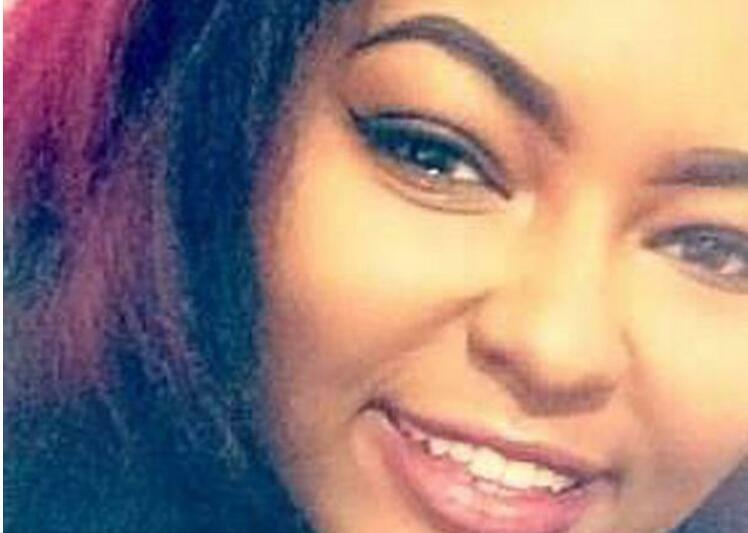 A teenager left fighting for her life after people were thrown off a fairground ride has been told that her boyfriend died in the tragedy. 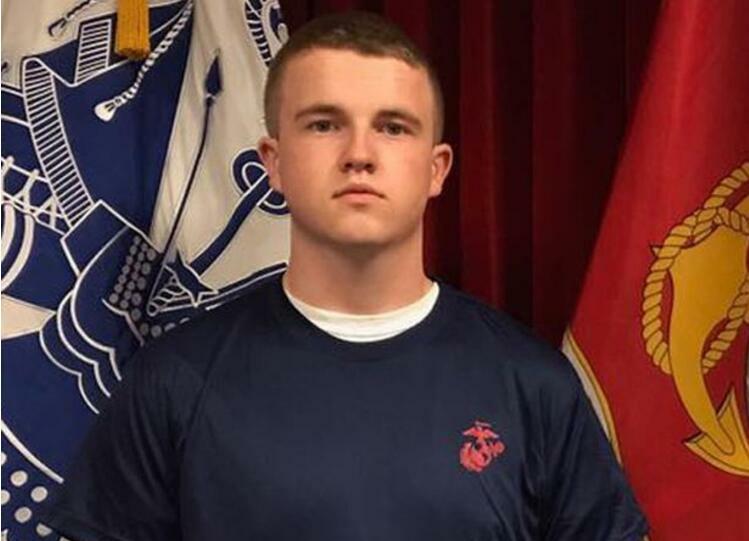 High school student Tyler Jarrell, 18, had pledged to join the US Marine Corps just days before he was killed at the Ohio State Fair. He was on the ride with his girlfriend, Keziah Lewis, 19, who was also thrown from the Fire Ball when the swinging ride broke apart. She was critically injured in the terrifying incident and was given the heartbreaking news about Tyler when she asked for him from her hospital bed. 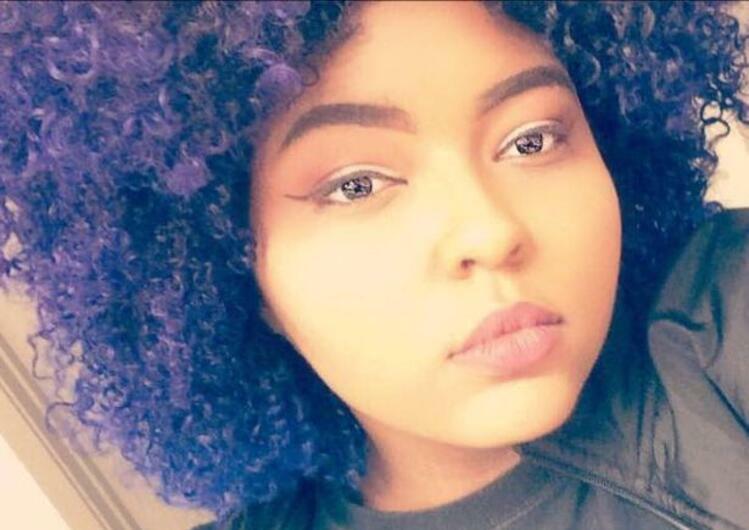 Keziah's mum, Clarissa Williams, told the Columbus Dispatch: "She kept asking for her boyfriend. "I had to tell her he was the one who was deceased." Keziah has no memory of the incident in which she suffered injuries to her pelvis, ankle and ribs, her mum said. The teen has had two surgeries and is due to undergo a third on Friday. She had attended her late grandfather's funeral earlier in the day. Tyler was the lone person killed when the ride, carrying 24 people, malfunctioned at the state fair in Columbus on Wednesday. Seven others were injured - two critically - as a row of seats broke off the ride on the fair's opening day. Tyler was a senior at Franklin Heights High School and Navy cadet who had enlisted to become a Marine just five days before his death. He was due to begin basic training in June next year once he finished high school, and dreamed of becoming a combat engineer. Tyler and Keziah, a University of Cincinnati student studying creative writing and journalism, met a few years ago while working at a McDonald's restaurant. Family, friends and mentors paid tribute to Tyler, describing him as a courageous young man with a desire to serve his country. Harrowing footage captured by a witness shows the ride breaking apart and throwing victims into the air as people scream in terror. The Fire Ball, described as an "aggressive thrill", swings like a pendulum from side to side, reaching a height of 40ft while completing 13 revolutions per minute. 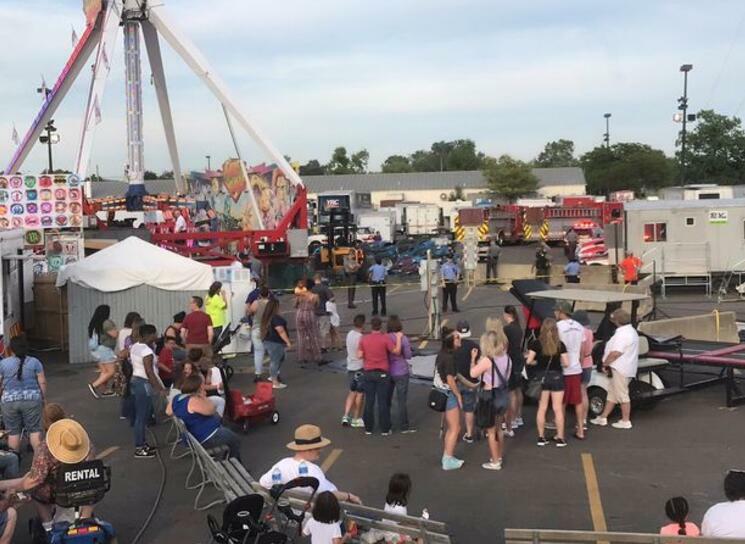 State inspectors examined the ride on Wednesday before the fair opened and found no concerns, according to an Ohio Department of Agriculture report. Fire Ball rides around the world were shut down and inspected as a precaution following the tragedy. The Dutch manufacturer, KMG International BV, instructed operators to suspend use of that ride and similar rides. KMG product manager Albert Kroon said in a statement: "We are currently gathering information on the accident and investigating the cause and circumstances." The US Consumer Product Safety Commission, which is investigating the incident, said there have been 22 fatalities linked to amusement attractions in the US since 2010.